A winter storm bearing down on Michigan may push Detroit and Flint very close to breaking their all- time winter snowfall totals. All-time snowfall records could be broken this week in Michigan. A storm blowing through the state tonight is expected to dump two to eight inches of snow. What’s on the line this week may very well be bragging rights for generations of people in Flint and Detroit. Flint is just about five inches short of its all-time snowiest winter. 82.9 inches fell during the winter of 1974-75. So far this winter, Flint has been buried under 77.3 inches of snow. Detroit’s record of 93.6 inches of snow has stood since 1881. But if the city gets all the snow forecast in this week’s storm that record may be within reach. 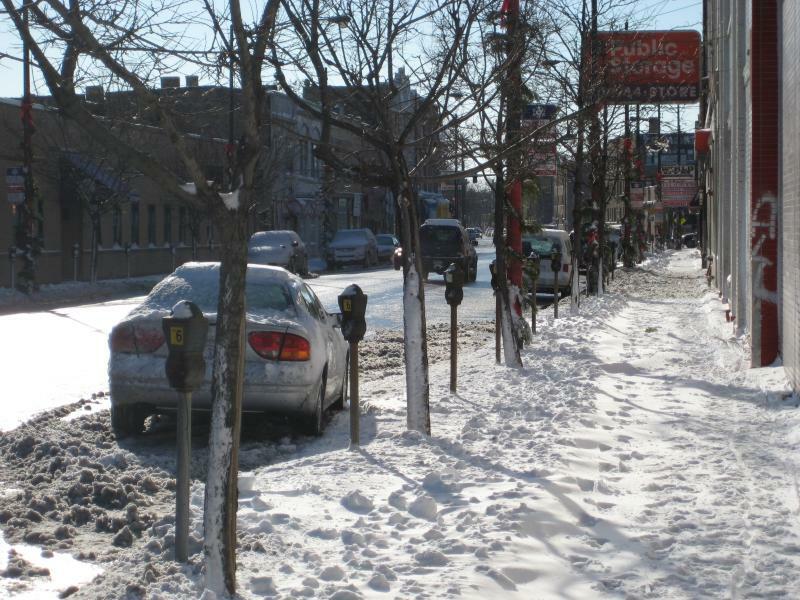 Detroiters have already shoveled 84.1 inches of the white stuff this winter. Rich Pollman is a National Weather Service meteorologist. He says it’s likely both cities will break their respective records, if not this week, by the end of March. Pollman adds snow is not uncommon in April. Meanwhile, on the other side of the state, Grand Rapids is nowhere near breaking its record of 132 inches of snow set back in 1952. 110 inches of snow have fallen on Grand Rapids this winter, making it the second-snowiest in the city’s history. The city of Lansing is stepping up enforcement of its snow removal ordinance. Beginning today, Lansing police officers are ticketing homeowners and businesses that haven’t shoveled their sidewalks clean of snow. Lansing Mayor Virg Bernero says this is a safety issue for school children and the elderly. “This winter….these difficult winter conditions are harder on nobody more than the walker,” says Bernero. If you ask just about anyone in Michigan about the weather this winter, chances are he or she will swear there has never been this much snow. Well, yes and no. Some cities shattered their snowfall records in January, but in some parts of the state, January snowfall was pretty much business as usual. Let's see who has legit bragging rights when it comes to snowfall. MLive meteorologist Mark Torregrossa, who also runs the site farmerweather.com, joined us today. Michigan's record snowfalls and cold are inconvenient for everyone, but they are especially difficult for people with disabilities. The snow and ice still on Michigan sidewalks can trap people with disabilities at home or even put them in danger. Just getting to work or to a doctor's appointment can be daunting.